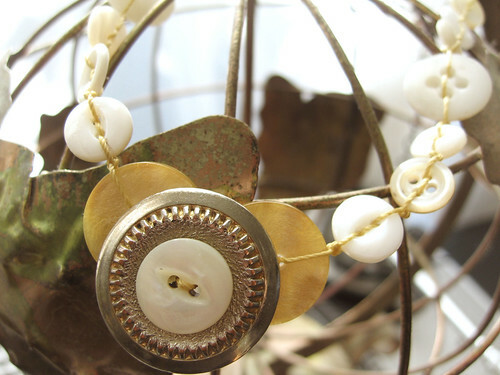 I made a couple of these vintage button necklaces awhile back and am just getting around to photographing them…the warm summery gold and cream of this one is my favorite so far. 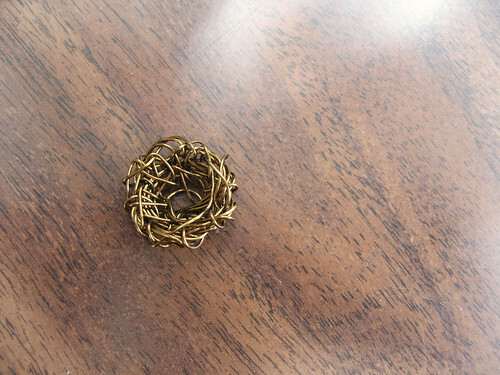 It’s been awhile since I’ve made a nest but I recently sold my favorite nest necklace and it seemed like time to make another. 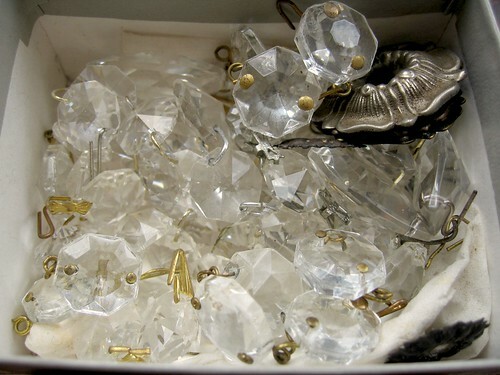 I scored some antique chandelier crystals at an estate sale recently. 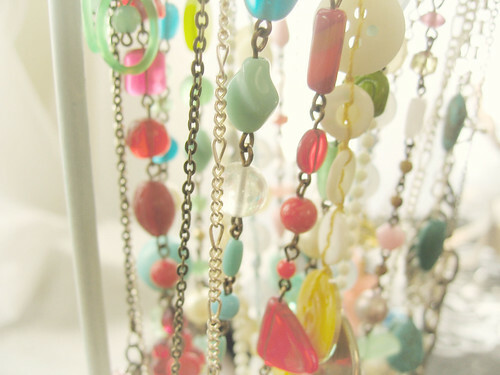 They will be added to pretty, sparkly accessories soon!